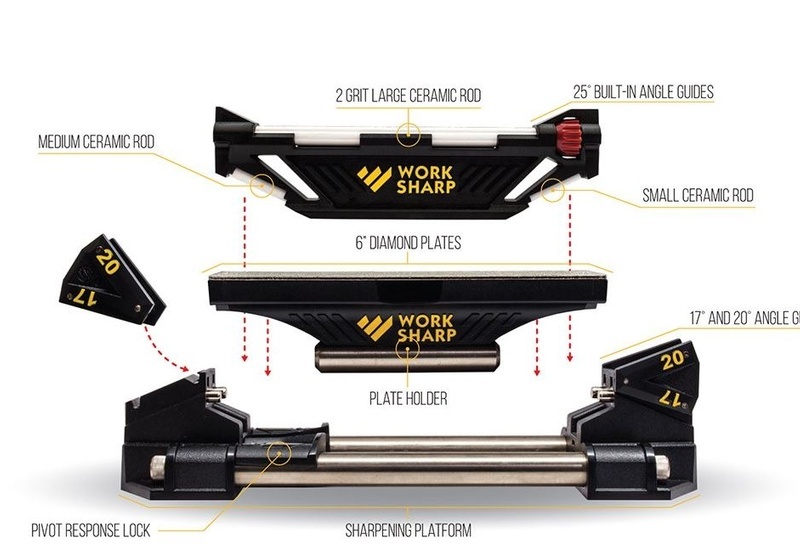 This is a very well made and very well thought out guided sharpening system. Excellent for most knife grinds this system elimates a lot of the guess work and trial and error from sharpening your knives and produces some first class results. It comes with a clear and well written guide and a very good warranty. Highly recommended as a primary sharpening kit. One of the most challenging aspects of sharpening with flat stones is achieving a consistently sharp edge along the entire length of the blade. The proper angle must be maintained during the entire sharpening process. While straight blades require a simple push along the abrasive, curved blades must rotate along the profile while maintaining the proper sharpening angle. The technique is difficult and time consuming to master. Pivot-Response puts the skill into the Guided Sharpening System, allowing you to use the same, simple, straight-blade technique with curved blades. There’s no need to master a different technique for different blade profiles or use the complicated jigs and elaborate clamping systems found on other sharpeners. Pivot-Response can also be locked out, creating a traditional rigid sharpening stone surface. Also available: The Guided Sharpening System Upgrade Kit. 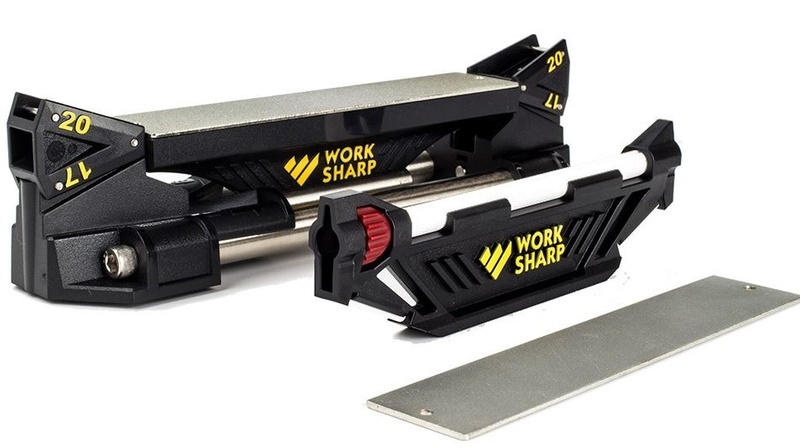 This Upgrade Kit extends the range of diamond plates by adding an Extra-Coarse 220 Girt for blade repair and coarse tool sharpening, an Extra-Fine 800 Grit for delicate sharpening tasks and edge refinement, plus a Leather Stropping plate with 0.5 micron honing compound and a 25° Stropping Angle Guide. The Work Sharp Guided Sharpening System comes with a 42 year warranty. Why 42 years? Why not — that’s how long we’ve been serving our customers, and we’re looking forward to another 42. We love what we do, we take it seriously, and we’re in this for the long haul. Warranty applies to non-consumable parts – in other words, everything except the abrasives (diamond plates and ceramic rods). Our in-house Customer Service team is always just an email or phone call away to answer your questions and make sure you have success sharpening your knives with the Guided Sharpening System. Purchase through PayPal by using the "Add To Cart" button above or use the form below to order the Work sharp Guided Sharpening system . Feel free to contact us if you have any questions about the Work sharp Guided Sharpening system .